I nipped (or popped) up to Iceland for some porridge oats. I know, I know, they’re much more expensive, but they are on the doorstep, and time is money and all that. I also came home with two packs of 2 x pasties for £2, two packs of sliced cheese (I like this for portion control) for £2, two packs of cold meat for £3, the aforementioned porridge, some milk, and a pack of chicken wings for £1.89. We finished the last of a two week pot of lentil soup yesterday, so I thought the wings would be useful for stock. 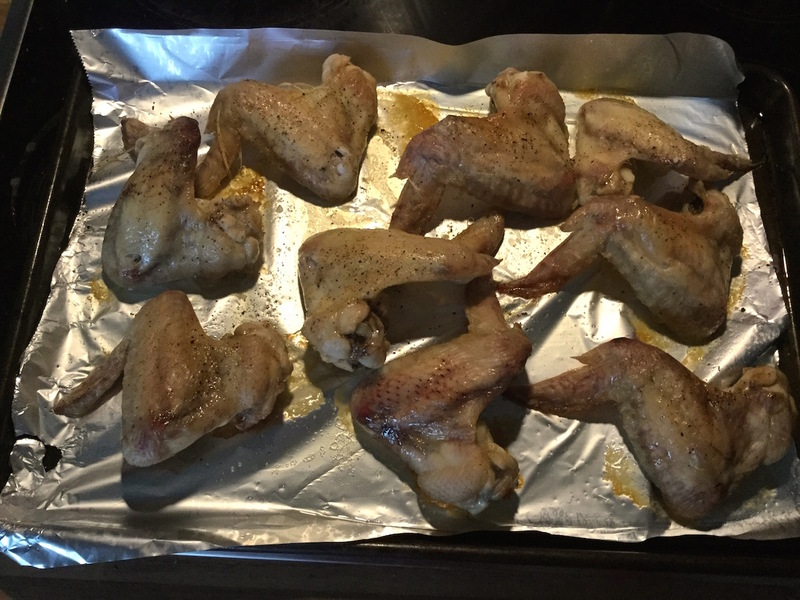 I roasted them off, just sprayed with a little olive oil and seasoned with salt and pepper, and I was expecting to treat the cats; and then I read that they shouldn’t have cooked chicken bones, because they could splinter (the bones, not the cats. I think). When they were cooked, I offered Bill one, while I watched carefully, but she was extremely prissy and I had to take the meat off the bones for her. Three more have gone into the fridge for Pete to eat for lunch, and the rest are now in the slow cooker, being turned into chicken stock. I shall chop up swede, leek and carrots later, and those and some barley will make another soup. I might give the Tribe some of the slow-cooked chicken, but only if they’re nice to me. Fat chance. Honestly, I used to think I couldn’t make soup, and bought books on how to do it, but it’s like most other cooking – just use what you have.